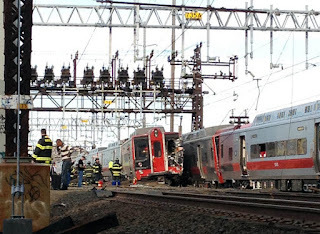 I normally post about commuting problems on my companion blog NYNJCommuting but since this terrible crash happened in Connecticut, I will discuss it here. Since it happened only about two hours ago more details will be coming. It appears that none of the injuries are life threatening. Generally commuter trains are safe, but you never know.